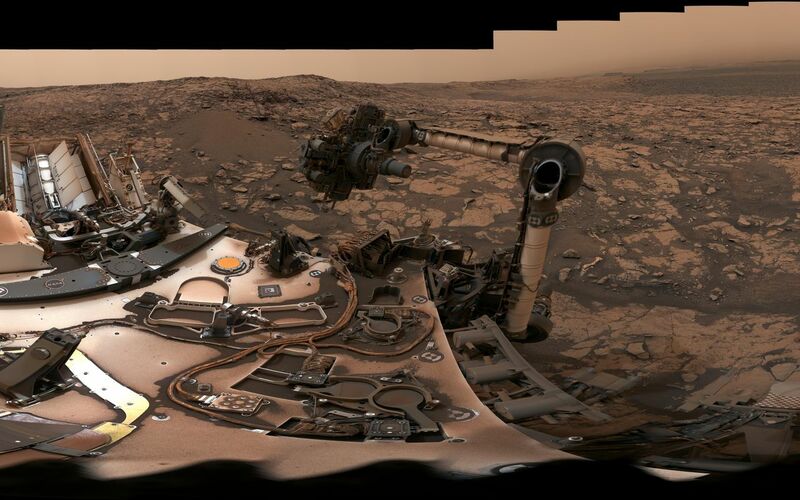 After snagging a new rock sample on August 9, 2018 (Sol 2137), NASA's Curiosity rover surveyed its surroundings on Mars, producing a 360-degree panorama of its current location on Vera Rubin Ridge. The scene is presented with a color adjustment that approximates white balancing, to resemble how the rocks and sand would appear under daytime lighting conditions on Earth. Two versions are included here: one with scale bars, and one without. The panorama includes umber skies, darkened by a fading global dust storm. 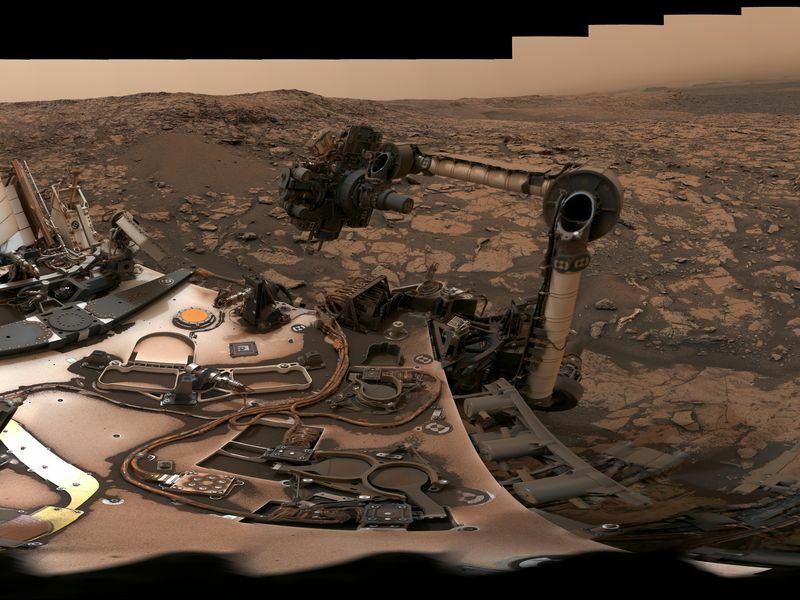 It also includes a rare view by the Mast Camera of the rover itself, revealing a thin layer of dust on Curiosity's deck. 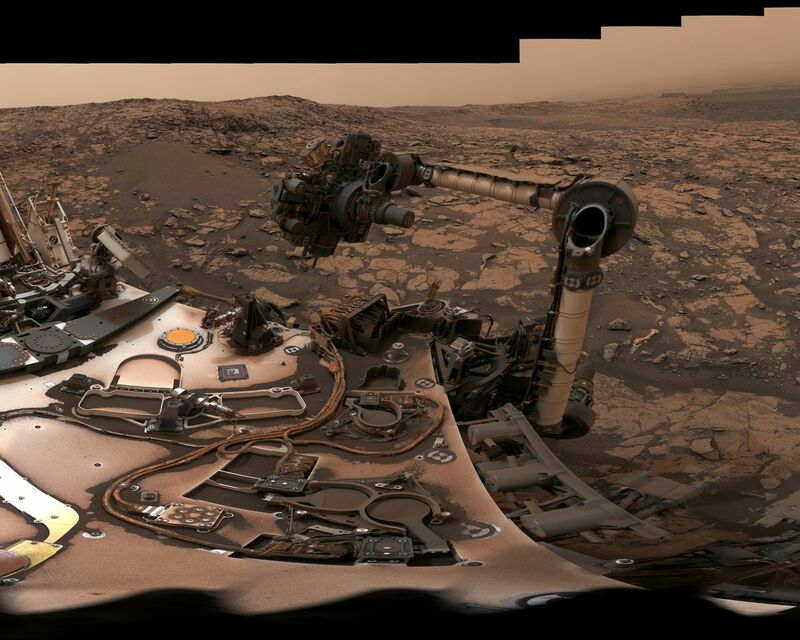 In the foreground is the rover's most recent drill target, named "Stoer" after a town in Scotland near where important discoveries about early life on Earth were made in lakebed sediments. Photojournal Note: Also available is the full resolution TIFF file PIA22545_full.tif. This file may be too large to view from a browser; it can be downloaded onto your desktop by right-clicking on the previous link and viewed with image viewing software.